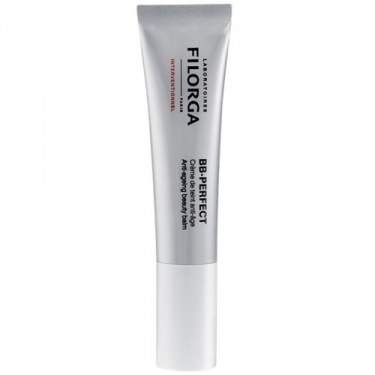 DESCRIPTION: BB-Perfect Crème de Teint Anti-Âge SPF15 by Filorga is a BB Cream that combines all the steps of your beauty routine. Since the first application, the skin is hydrated, appeased and protected from photo aging due to the UV filters with SPF15. State-of-the-art pigments provide a transparent coating to maintain the natural texture and shine of the skin. *Clinical study - 20 women aged 25-45 years - self-assessment after 28 days of use. Apply in the morning to the face. Ideal after cosmetic treatments (injections, peels, laser), to conceal small bruises, redness and to stimulate tissue regeneration.